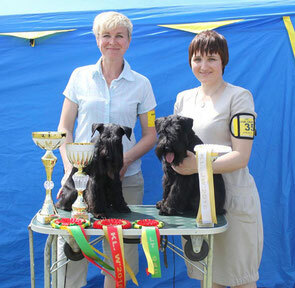 Three dog shows in Moletai. 1st day Specialty show of schnauzer-pincher club, judge Pedro Sanchez Delerue. Raven's Tot Keen Sensation, CAC, Club Winner, BOS/ 2nd ex. / CAC, r.CACIB. Lithuanian Champion!